As Executive Director of Californians for Justice, Taryn leads the organization to actualize its mission of racial justice by building the power of youth, communities of color, immigrants, low-income and LGBQ, Trans and Gender Non-Conforming communities. She provides leadership in program strategy, alliance building and policy, and organizational and fund development. 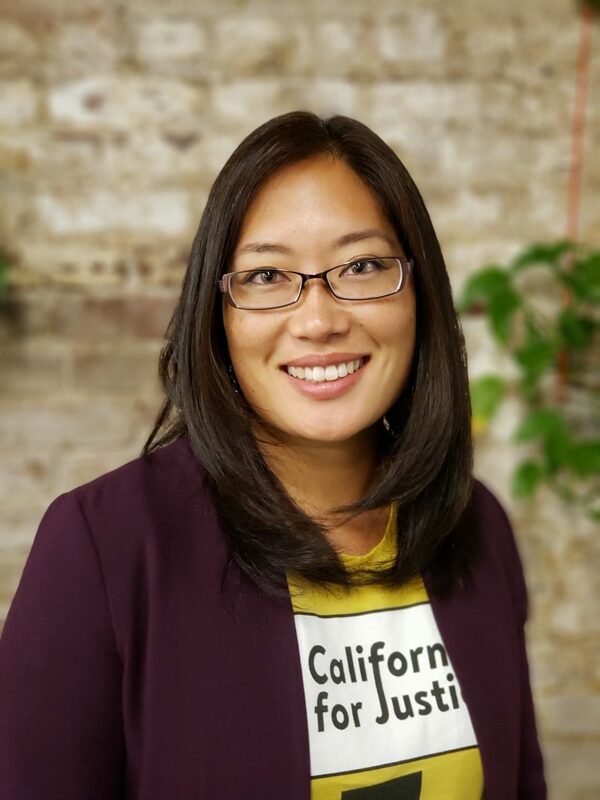 She started as a volunteer with CFJ in 2002, and has since supported CFJ youth leaders to win local and state campaigns that have improved school climate and access to social emotional learning, strengthened equity and engagement in school funding, and increased civic participation among youth of color. Prior to CFJ she spent eight years in philanthropy at the David and Lucile Packard Foundation and Silicon Valley Community Foundation. Taryn sees public education as the system that can either interrupt or perpetuate racial inequality in our country, and believes that youth must be the ones to reimagine and lead that change. She is a proud alumni of Molokai High in Hawaii, home of the “fighting farmers”, where she benefited from the vibrancy and strength of being in a multi-racial school community. Outside of work Taryn likes to play tennis and force her toddler and family to spend quality time with her.